Join us to celebrate the amazing work that Growing Power does to help bring more real food to Chicago’s south and west sides. This summer alone they will employee 200 teens and 150 head-start preschoolers at city farms. 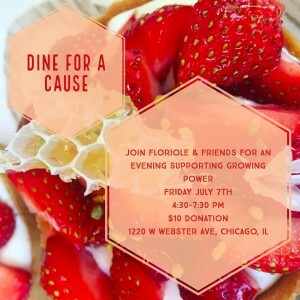 Come enjoy delicious food, a drink or two, and help Growing Power to grow delicious and nutritious vegetables while supporting over 350 youth this summer with art, cooking, food and fitness, as well as environmental education! Growing Power is a national nonprofit organization and land trust supporting people from diverse backgrounds, and the environments in which they live, by helping to provide equal access to healthy, high-quality, safe and affordable food for people in all communities.